Barranquilla’s Pretty Birds | Barranquilla or Bust! I have no idea what kind of birds these are, but they are very lovely. This entry was posted in Daily Life, Photography and tagged barranquilla, birds, Colombia, travel. Bookmark the permalink. Soo happy you and family picked Barranquilla as your new home. I am Vicky and work with you mom at CBF. She told me about your big move to Colombia. The reason I’m so thrilled is because I am Colombian and know you are going to love it there. 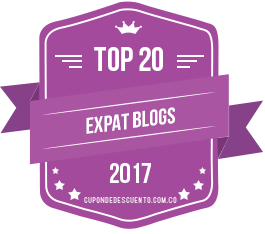 Your blog is great, everything you are experiencing is the way the culture is… the milk and water in a bag, buying one over-the-counter pill vs. the whole box, groceries delivered at home…and much more. You guys could not pick a better place to land, Barranquilla is such an enchanting place, people are wonderful and happy. It’s the music cradle of famous artist such as Shakira, Joe Arroyo, Sofia Vergara,…Also, it host one of the most colorful and beautiful carnivals in February (I might go next year). Anyway, I could go on and on…I am glad the apartment situation is being work out (be ready for a lot of bureaucracy) …yeah!! the Cedula ID is quite important, even when you use your Credit Card, they will ask you to write the Cedula ID # and Phone# on the receipt…so be prepared. I won’t give you too much info… I love the way you are narrating your discoveries.  However, if you need advice or additional info, I will happy to help. Ah, the bird name is El Pitiri, they are all over Latin America. Thank you so much for your kind message, Vicky! Where in Colombia are you from? I may very well be in touch with you for information and advice. 🙂 If don’t mind, please send your email address to me at courtenayclarisse at gmail. So happy to have the name of the bird too!!! So sorry for misspelling your name and the double message. I wasn’t sure if it went. 😉 I was born in Villavicencio (Meta), although my parents are from Cali (Valle del Cauca). I mentioned the two cities because regions in Colombia are very distinct and each holds their own social-culture. Villavicencio is located south Bogota and it’s like Texas, cowboy, long plains and where the Amazon starts. Cali, is on the Pacific Side and it’s where the “Best Salsa Dancers” live…very “Rumbero” city. 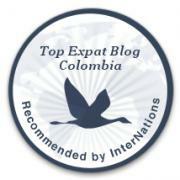 Colombia is a great country to explore once you are settled, but always with caution. I can’t wait to read your anecdotes. I will send you my e-mail so we can be in touch.